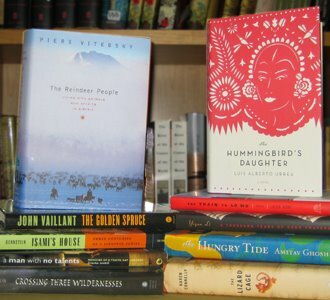 CONGRATULATIONS to the winners of the 2006 Kiriyama Prize for Fiction and Nonfiction. The winner of this year’s fiction prize is Luis Alberto Urrea for his novel, The Hummingbird’s Daughter (2005), a story based on the life of Urrea’s great aunt who lived in Mexico in the 19th century. The nonfiction winner is Piers Vitebsky for his well-researched and heartfelt portrait of life in one of the coldest places on Earth, The Reindeer People: Living with Animals and Spirits in Siberia (2005).